Where do candidates find the majority of information about you? First, on your corporate website. Your employer brand must be evaluated, your company needs to separate corporate communication from ‘real communication’; social platforms like Glassdoor or professional social networks are great sources of information for applicants, it is crucial to seriously monitor and exploit them. How do you measure the performance of your employer brand? One of the interesting KPIs is the overall quality of the selected applications. Try to put as much as possible on your side to attract talents. You want to have a career section to highlight your company? Brilliant idea. Align your graphic identity, use a mobile-ready Job widget if your website is not in responsive design, and by far do not ask candidates to fill-in boring application forms. You have job postings for specific open projects or wish to source talents pro-actively? Perfect, display the key skills you are looking for and engage with candidates on topics where your company will stand out from the crowd. For instance, you can mention that you invest in your employees through trainings and coaching, that a good team atmosphere is a priority to you and you can even show-case some past projects. Videos are always welcome to help ‘selling’ your company, your projects and vision. 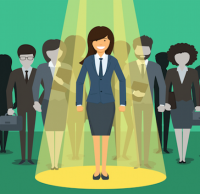 Showing real employee testimonials and keeping an open communication with candidates help in increasing a feeling of authenticity and transparency and eventually in securing long-term hirings. It helps a lot in building your employer brand. With over 8 years spent helping recruiters, we noticed these past few months an increase in discussion around employer branding topics within ICT and engineering groups. So as to help attracting the best workers, engineers and sales reps and to secure their future growth, it is now vital for companies in this branch to take advantage from one of its biggest assets: its employer brand.